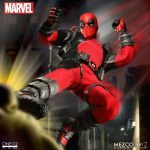 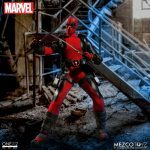 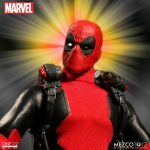 While the 2017 Toy Fair is still a few weeks away it looks like Mezco is wasting zero time in getting the hype train moving. 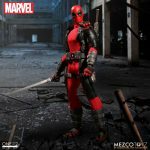 Today they announced another new addition to their One: 12 Collective line and the addition is equally as crazy as Harley Quinn who was announced last week. 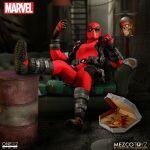 Let's welcome Deadpool to the party! 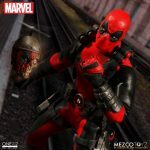 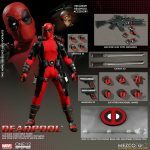 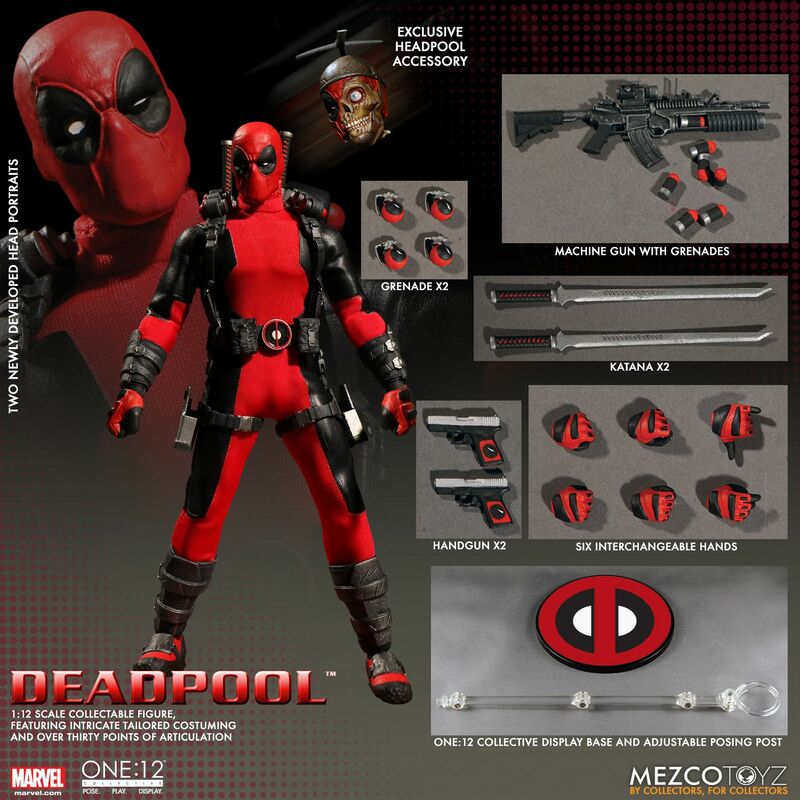 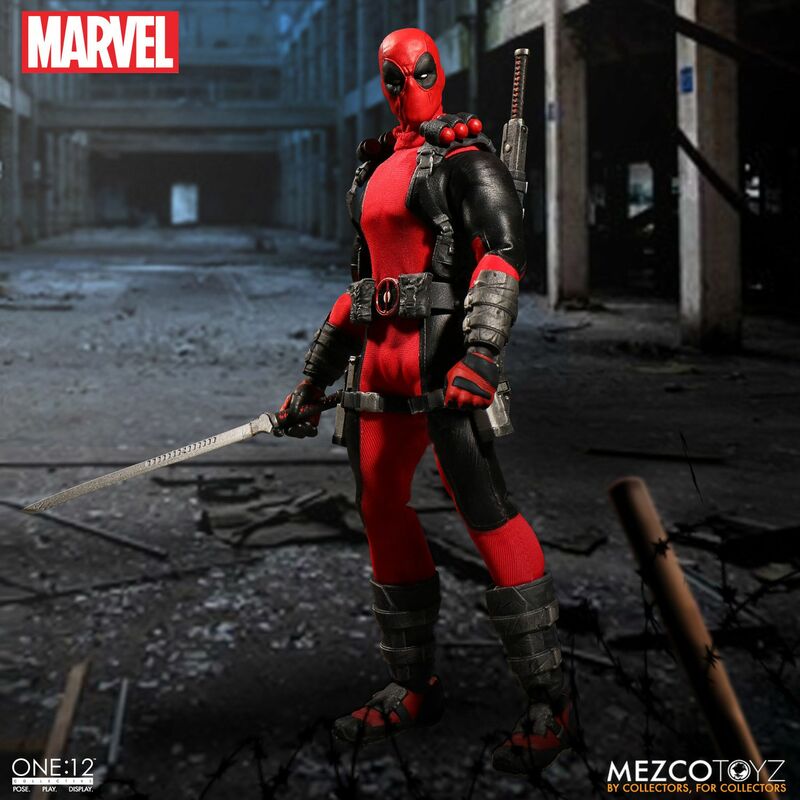 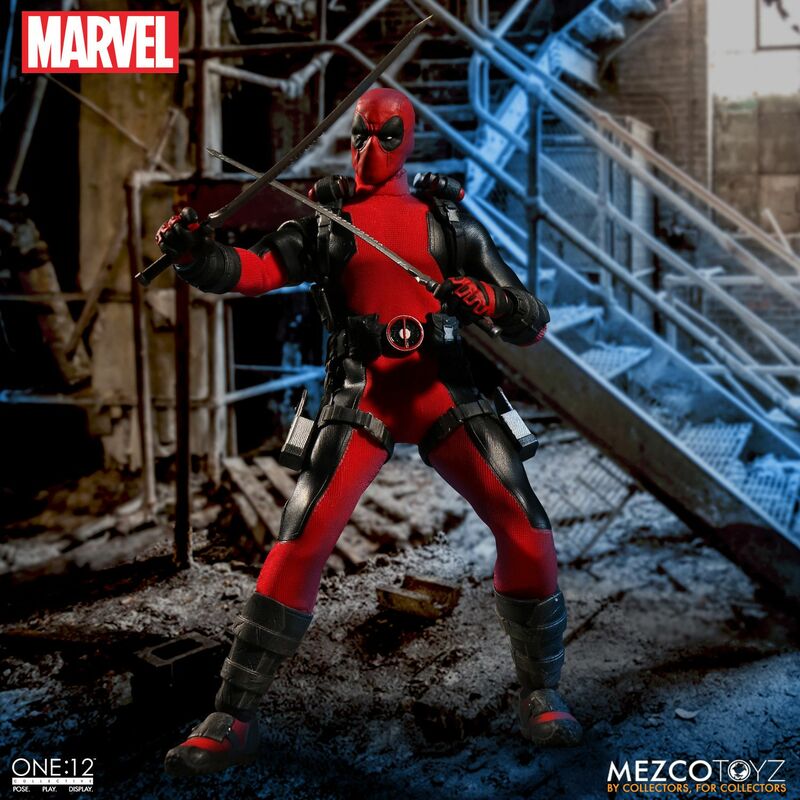 This Deadpool's look is straight out of the pages of from books and has a ton of awesome accessories to customize him for display. You are displaying him, aren't you? 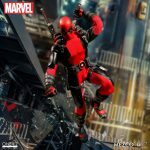 Fans can pre-order the figure here and expect it to ship between August-October 2017.